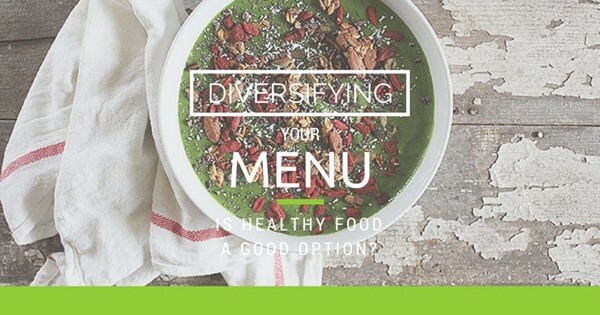 Diversifying Your Menu: Is Healthy Food A Good Option? More and more people are gradually seeking a healthier lifestyle and diet. They want to eat things that are good for their bodies, and they’ll search for stores and restaurants which will serve them these foods. However, there are also many people who still prefer the not-so-healthy food they’re accustomed to, and who consider healthy food to be overly expensive and unappetizing. So is getting on the healthy food bandwagon really worth it? According to Melbourne cafe owners Seonmi and Seonjoo Lee, nutritional food is definitely worth selling. Their cafe, Yong Green Food, has an extensive menu which largely features fresh produce and nutritious, healthy food. They offer many different gluten-free and vegan choices, and find that their customers are gradually eating more and more health-consciously as time goes by. The owners of Bella Natural Food Co. are also benefiting from selling wholesome foods. Nicole and Kosta Kandis discovered that there was a lack of healthy food available in Terrigal when they moved there from Sydney, and so opened their cafe to sell fresh and healthy food. In warmer summer weather, the Lees have found that their salads and raw food items are more popular. But when winter comes around, the cold weather changes their customer’s preferences to warmer items on the menu such as soups and curries. Because of this, they are diligent to change their menu to feature seasonally-appropriate items. Many people picture health food as being dry, dense, bland, and generally unappetizing. To be successful in selling healthy dishes, it’s important to prove that these stereotypes are incorrect. Creating flavourful, tasty food should be the focus. The owners of Yong Green Foods stated that, “For us, the challenge is finding a balance to provide amazing food that also happens to be good for you and good for the environment.” They add, “Come up with dishes that everyone will like, without even noticing they’re healthy”. For cafes and restaurants who are already established, adding healthy items to the menu might require some creativity. Simple vegetable dishes will likely never gain enough traction to become regular standbys. Instead, it’s important to be original and creative, creating dishes which appeal to your existing customer base while still attracting those who love health food. 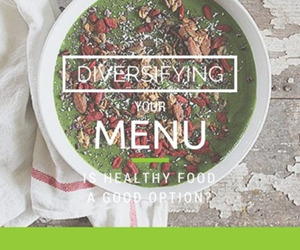 Even places specifically geared toward health foods find that their customers start out preferring more traditional menu items. Yong Green Foods used to find that their customers would most frequently purchase from the burgers and wraps section of their menu. But as time has gone by, they’ve found that the more unique items on their menu are rapidly becoming more popular. Instead of relying on traditional salads and recipes, eateries wanting to join the health-food craze should be original and unique. The dishes shouldn’t be boring, and they should be better than what most people could make at home. Many people think of health food as being pricey and expensive. But there are ways to find healthy foods for reasonable prices. Buying in bulk is a great way to minimize costs, as organic produce is only a bit more expensive when bought in large quantities. Having a good relationship with your supplier is also vital, since they will be able to let you know about special deals and may suggest items for you. Certain ingredients might still have a bigger price tag, so these particular items can be skipped until a solid customer base is in place. In the meantime, focus on using the ingredients which are affordable.